Like everything else cool, vintage, and in short supply, used SP-10s are climbing up the chart as fast as air cooled Porsche 911s. If you want the Singer Porsche equivalent in SP-10 world, look no further than the folks at Artisan Fidelity. Their rebuilds combined with plinths that are out of this world gorgeous, will impress you if an SP-10 is your grail. But some of us don’t like vintage, no matter how well executed. Some of us want brand new. 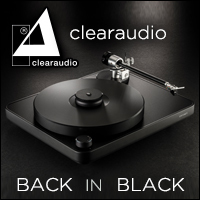 Two years ago, when the new versions of SP-1200s were introduced, (and I bought two of them) there were whispers in dark hallways that perhaps an SP-10 replacement was in the works as well. The future is here turntable lovers. And it’s beautiful beyond expectation. But don’t expect to see one soon. 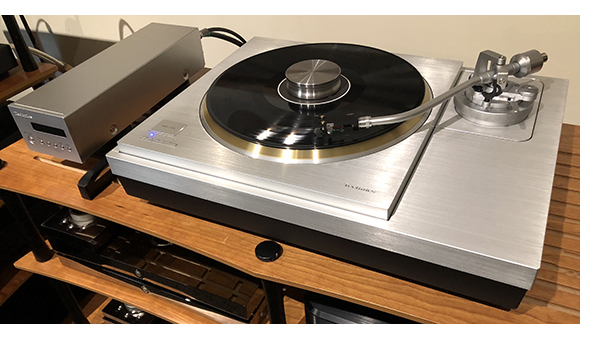 We were lucky to have an hour listening session, courtesy of the folks at Audio Vision San Francisco, before their guests were to arrive for the evenings festivities, with Technics. Yes, yes, we can all play the “it’s not my system, so I can’t hear things properly” card, or we can get down to listening. After all, if someone flips you the keys to your favorite car or motorbike and tells you to have a go for an hour, you don’t refuse? Do you? And besides, Antonio, Randy, and Chris always have great sound in their rooms, so it’s no big. Flipping through a handful of tracks from current MoFi tracks, including the spectacular Elvis Costello/Burt Bacharach collaboration, all the way to a super clean copy of Ohio Players’ Honey, via a new Ortofon A90 cartridge, it’s easy to get a read. Yes, it’s incredibly good. The sound is massive, as you would expect from a great direct drive table, yet elegant and full of nuance in a way that the 1200G is not. That’s what you pay the extra $14,000, for. The new SP-1200G and the less expensive GR are both fantastic turntables at $4,000 and $1,600 respectively. The SP-10R is a fantastic turntable period, and this writer feels it’s a major bargain at $18,000, with tonearm. Especially compared to most of the tables in the $20k range. The SP-10 will also be available without plinth, and the ability to use up to three tonearms. We’ll post more as soon as we know final details. While the design aesthetic is very similar to the original SP-10, the result is similar to the SL-1200. Place a Mk.II next to a new 1200G and the new one not only looks bespoke in comparison, but futuristic and retro all at the same time. It’s like those wacky episodes in Star Trek where the new Enterprise faces down the old one at the opening to a spatial anomaly. If this table piques your interest as much as it does mine, get to your Technics dealer and place an order. Now. Hopefully, you will get one before the end of the year. I know I’m probably looking at a mid 2019 date on one for me. Crazy.